The only propeller company to be ISO accredited Top Grade Material – Xoar only uses carefully selected ‘Top’ grade German Beechwood. Pre-Balanced during production – Out of the packet ready to fly, propellers are balanced at every stage of production. Leading Edge Pitch Angle – Production process & measurement is certified to conform aero sport equipment standards Trailing Edges Symmetry – Every prop is carefully examined visually. 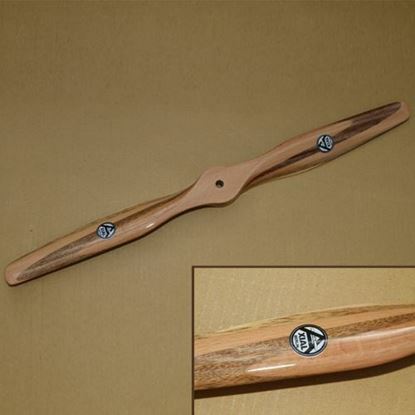 Xoar Beechwood props are manufactured from the finest German Beech and have long been the choice of the world’s top scale modelers. The range of WW1 profiles is unrivaled and the Axial laminated prop design is exclusive to Propguy. Xoar WW1 props are simply the’ must have’ for any serious scale modeler available from the smallest to the largest sizes. The WW2 range are prepainted and available in two and three blade sizes.